Our lisianthus, dahlias, blackberries and daucus are from Capital Flower Growers. The beautiful mountain mint came from our friend Bill Harlan of Belvedere Farm. We’re grateful to Nancy for delivering to us today! Finally, the lemon basil and scabiosa come to you this week from Hillen Homestead. 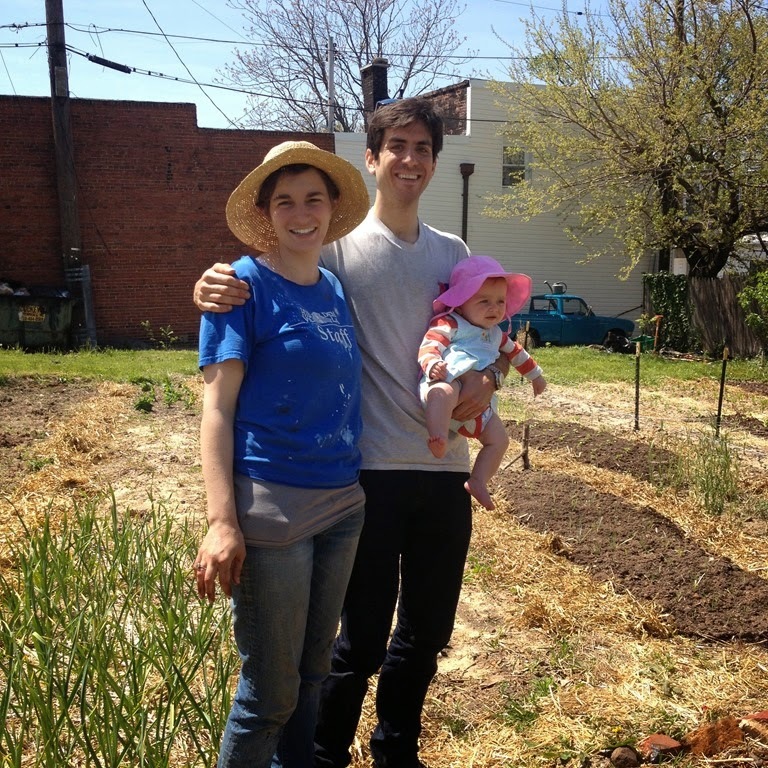 Located just 1.6 miles from our studio, Hillen Homestead is currently our only Baltimore City farmer. Maya, her husband Max and their little one, farm on a small plot of land where rowhouses used to stand. In their second year of growing, Hillen Homestead is getting the most out of their space! My favorite from so far are the scabiosa which you’ll see dotting your bouquet this week. We’re grateful to Hillen Homestead and all of our growers for all of their hard work on our behalf! They are so much more to us than just “suppliers” they are really a wonderful part of the LoCoFlo family! We couldn’t do what we do without them! Enjoy your flowers this week! Be sure to change the water frequently and trim the bottoms every two days. Keep them out of direct sunlight to get the most life from them!